The headline pretty much says it all. 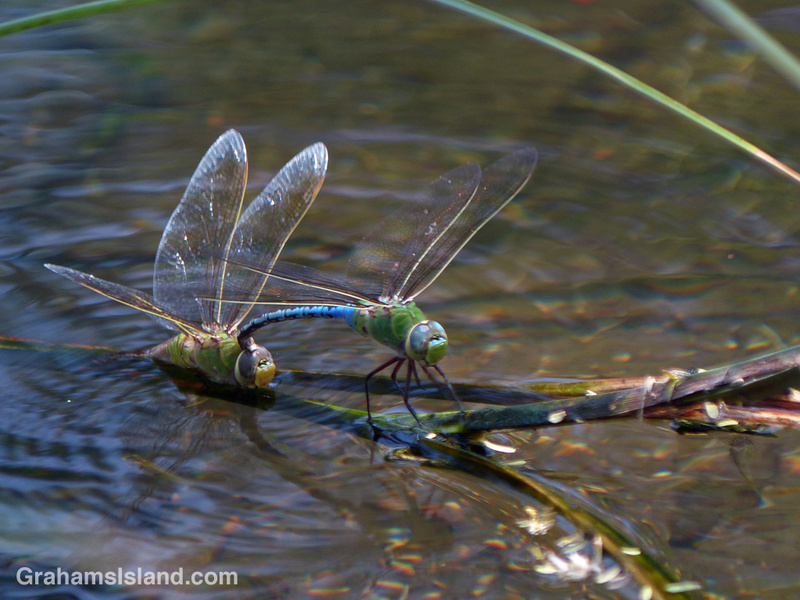 I saw these green darner dragonflies at the anchialine pond at the south end of Kiholo park. Anchialine ponds are landlocked, but connected to the ocean underground. They contain a mix of fresh and saltwater. The air above the pond was thick with dragonflies so I’m keen to return and spend more time there. Thanks. I was very happy to see so many dragonflies there. I must go back soon.